When feuds burn white hot, it’s the innocent who pay. Writer Frank Dodge is feeling optimistic for a change. He just landed a plum assignment from a national magazine to write about the growth of boutique food in the Midwest. Dodge’s mood quickly turns sour, though, when his scheming rival Helen shows up—is she trying to steal another story from him? When a fire erupts at the food convention Dodge is scouting out, two people die and Dodge can’t shake the feeling that the fire was no accident. Dodge’s assignment lands him in the middle of a volatile feud between ice cream queen Stella and chocolatier Ashley. Was the fire an attempt to end their feud once and for all? Dodge’s investigation will take him from the food shops of Galena, Illinois, to the tabletops of Dubuque, Iowa, to the murky backwaters of the Mississippi River. Can he keep Helen at bay as he investigates the fire? And how far will Stella and Ashley ultimately go to skewer each other? 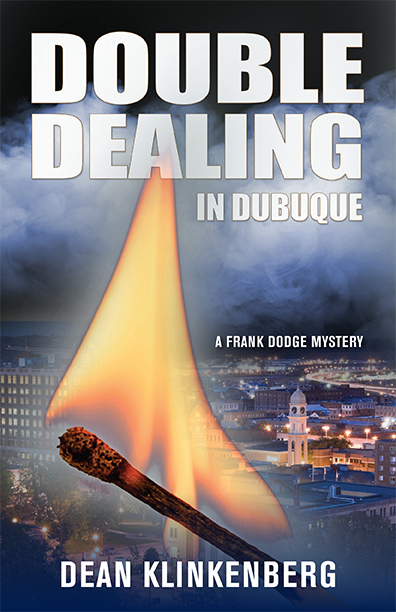 Double-Dealing in Dubuque is a delicious whodunit that delves into what can go wrong when feuds get out of hand.